Do you need your own ‘bespoke’ Primary School assessment system? You know best what your school needs, so why put up with an off the shelf assessment system? With support from our Primary Progress toolkit it’s easy to create your own ‘bespoke’ system. Here’s what you need to do. Pick a manageable set of subjects, statements/objectives, which will let your teachers know what their pupils have to know and be able to do (the toolkit can import these for you or provide a default set which you can edit). Agree a set of assessment grades, which define pupils’ steps on the way to mastering the curriculum (the toolkit can cope with any set of assessment grades). Have a quick and easy way for teachers to record their assessments (the toolkit provides this). Set Age Related expectations for each term (the toolkit has a simple way for you to set these). Analyse which pupils are making expected progress and which need support to get them on track (the toolkit provides multiple reports – subject attainment, combined subjects, statements achieved, ARE, individual pupil, whole school overview, with group filters). If you need reports in a format which the toolkit doesn’t provide, we can extract the data from the database and present it in a special Excel report, at no extra charge! Our Online Primary Progress toolkit has been built with flexibility as its main aim. We believe it can support any school’s assessment needs. It’s also a modern online database system, professionally programmed, so you don’t have to worry about maintaining it. It’s not expensive and training and support are free. A proven solution is Play Therapy. When delivered to Play Therapy UK (PTUK) standards, it results in a 77% to 84% positive change, as observed by teaching staff and parents based on over 12,000 cases. I’m sure you understand only too well how challenging it can be for your staff to juggle their time between administrative tasks and supporting SEN pupils, particularly with the increasing demands for SENCOs and other members of staff to manage inclusion in an effective and strategic way. In response to these demands, our own team of experienced SENCOs developed Provision Map; the time-saving management information software helping SENCOs and other school staff to stay organised and track provisions and interventions. And I’d like to show you how it can do the same for you through an online demo. I’m really excited to show you how Provision Map will make a difference to the work you do with your SEN pupils, I am offering you until September for free when purchasing a licence this summer. If you would like to know more then, just request an online demo here. Or just reply to this email and we can take things from there. The best way to improve literacy in a struggling student is with 1 to 1 tuition. Now, that is possible. Indeed where a student really gets on well with the tutor and doesn’t feel pressured or intimidated in any way by having one-to-one tuition, progress will always be beyond anything that can be achieved in a regular classroom. Every misunderstanding and every concept not understood is instantly spotted, and results in the student being taken back a step for remedial work, after which progress and advancement resumes with appropriate activities to hand for every eventuality. This approach is available through a program that locates each individual’s literacy needs, directing the student to an engaging set of activities which remedy any deficits, before advancing through to the next set of skills. Because the level of instruction is so accurately reflective of the child’s current abilities, the student then gets a feeling of success and progress, which itself is highly motivational. At the same time your colleagues are now free to work with others in the group. Indeed, they can rotate the students, with some receiving directed help online while others engage with offline paper-based activities which are generated automatically by the system. You can read more about Lexia Strategies® and the extraordinary results that other schools have seen here. You will then be able to have a free trial which gives full access to the program for 30 days without any payment or commitment. If you want to know more about the program, we have all the information you’ll need available here. The workshop costs £1295 for up to 10 staff or up to 15 students or a one-off date on Thursday 12th October CLICK HERE. BOOK BEFORE 31st August for £995. What is the most empowering event that can happen to your school leavers? An end of year assembly which is produced and performed by year 6 pupils on their last day at primary school can not only leave a significant impression on those who take part, but also on the rest of the school. The result is that the children who create the end of year event feel motivated through knowing their ideas are valued, and feel confident that they will be appreciated by others. And it is possible to expand the feelings of self-worth and confidence that can arise from such an event when the children know they’re getting expert advice and support as they work on their presentation – and that’s what Snail Tales storytellers can give. As published authors and professional performers who have entertained young audiences all over the world, our storytellers will be able to guide your children towards putting their best into their final moments at your school. And since all five of our national theatre tours have been developed through KS2 workshops, you can feel sure that the final assembly will be 100% your year 6 – we’ll take and develop their ideas, not impose on own. Over the course of a single day, your storyteller will run immersive, interactive, and engaging workshops with your year 6s on the four elements of producing a great show: pre-production (ideas and role setting); development (writing and designing); performance; and promotion. The whole day includes a resource pack to help your year 6 teacher direct and mentor your year 6s towards their assembly. The total cost inclusive of travel to your schools is £350 for up to 35 year 6 children. We can also work over two or three days and thus take in larger groups. There are closed questions, open questions, rhetorical questions, leading questions and then there are questions that no one knows the answer to, such as: How many planets are actually in our Solar System? What is Time? Why are we here, what is our purpose? And why do we dream? Talking about Terrorism: Responding to Children’s Questions is a resource for you, the teacher. It answers questions that children may ask in clear, easy-to-understand language – providing simple, objective explanations and reassurance where possible, while being careful not to raise expectations. In addition, the text is interspersed with classroom activities aimed at your KS2 pupils to stimulate critical thinking, including brain storming, group discussions, responding to visual stimuli, and evaluation. 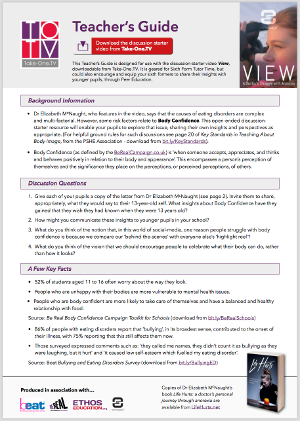 What’s more, not only will this resource help your school to create ‘safe spaces’ for the discussion of controversial issues in response to the Prevent Strategy, but it will also help you to demonstrate to Ofsted that you are addressing this difficult area. Don’t just take our word for it. “Highly recommended – really great resource for teachers” says Abigail Clay, an expert on Safeguarding and the Prevent Strategy. You can order Talking about Terrorism: Responding to Children’s Questions on our website either in PDF for £13.99 or as a hardcopy book for £19.99. There is also the option to buy both the hardcopy and PDF together at a discounted price of £24.19. For more information and to see sample pages, visit www.brilliantpublications.co.uk/book/talking-about-terrorism-740. Alternatively, you can contact us by phone on 01449 766629 or by email at orders@tradecounter.co.uk. As a teacher with 16 years of teaching experience in the classroom I have noticed the ubiquity of smartphones and social media has made safeguarding a much more complicated issue. Experience has taught me that it’s vital for schools to have a robust safeguarding system that allows teachers to respond quickly and efficiently. The reason I built this software is not in the interests of a high Ofsted or Estyn rating, but for the sake of the most vulnerable students. Safeguard my School is designed to enhance existing safeguarding provisions, allowing your teachers to both communicate and act upon issues quickly from anywhere in your school. Speedy, secure & simple recording of any safeguarding concern. Powerful reporting tools deliver management reports for safeguarding leads, senior leaders, governing bodies, local authorities etc. Accessed securely from wherever you have an internet connection and will display across all devices including tablets and smartphones. With Safeguard my School, busy staff can report concerns with a few clicks of a button even when at home or on the P.E. field. Each pupil has their own individual safeguarding profile which neatly collates all safeguarding issues that are relevant to them. This means that it is easy to spot trends and patterns. If you would like to know more, then just request an online demo here, by doing so we would like to offer you until September for free when purchasing a licence this summer. 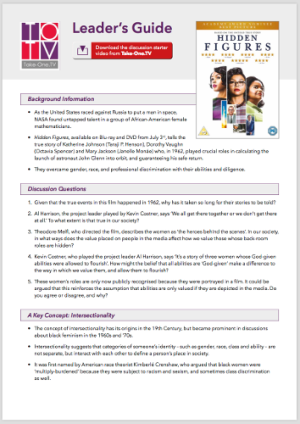 We are delighted that our new FREE discussion-starter resources, geared for Sixth Form Tutor-Time, are being so useful for teachers. There are currently four Tutor-Time resources available on www.Take-One.TV and we plan to create a steady flow of new ones, based on the latest feature films and relevant topical issues. Please email me at Kate.Laver@EthosEducation.org and I will ensure that we let you know when new free Tutor-Time resources are published. 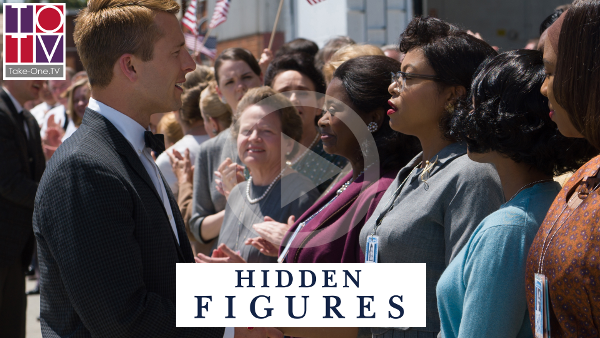 Releasing on DVD on July 3rd, Hidden Figures tells the true story of African-American women working on the space programme, who overcame gender, race, and professional discrimination with their abilities and diligence. Kevin Costner, who played the project leader Al Harrison, says ‘It’s a story of three women whose God-given abilities were allowed to flourish’. How might the belief that all abilities are ‘God-given’ make a difference to the way in which we value them, and allow them to flourish? 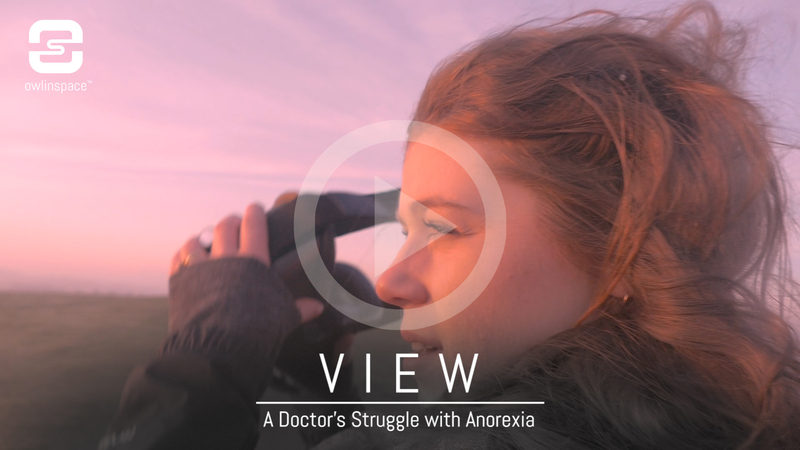 Produced in association with the UK Eating Disorder charity Beat and the Be Real Body Confidence campaign, this resource features Dr Elizabeth McNaught, the author of the best-selling book Life Hurts: a doctor’s personal journey through anorexia. What do you think of the vision that we should encourage people to celebrate what their body can do, rather than how it looks? We work hard to ensure that you only receive emails that are relevant to you delivered to your email address. If you would prefer to receive emails at a different or additional address or if you have any other comments please let us know by replying to this email. If you would like to unsubscribe from this list please click on this link If you choose not to do this we will take it that you are willing to receive emails from us until such time as you indicate that your preferences have changed. As a teacher, you may have noticed pupil behaviour has been making the headlines of late. With Ofsted open to taking cues from Behaviour advisor Tom Bennett’s report in future, it makes sense to get your behaviour provisions in place as soon as possible. Even schools with impeccable behaviour and standards look like they will need to offer Ofsted robust reports evidencing their great work. That’s where ClassCharts comes in. From my 16 years of teaching experience in the classroom I designed Classcharts, it is built to be easy-to-use for teachers, while offering in-depth reporting and analytics for SLT. Working with your existing Management Information System, ClassCharts enables teachers to access vital pupil data wherever they are, instantly. ClassCharts is free until September when purchasing a licence this summer. If you would like to know more, then just request an online demo here. MSL offers three sets of structured materials relating to handwriting, literacy and spelling, and details with example materials are available from our website. The Reading and Spelling Literacy Scheme covers every phonic and spelling choice in the English language, introduced step by step in a logical sequence and this allows pupils and students to develop whole sentences from the very start. Each new phonic and spelling choice is introduced in such a way as to ensure that past knowledge is reinforced, and confusions eliminated. This is a structured programme that could be delivered by an LSA, and progress can be easily monitored and evaluated using the Placement & Progress Tests, which are included. Are you doing enough to maintain boys and young men’s interest in their education? The Boy Problem: Raising boys’ achievement – what can schools do? is delivered in three hours and costs £895 or a one-off date on Thursday 19th October at our education centre CLICK HERE. For more information or to discuss a booking, you can contact Liam by email at liam@mengage.co.uk or by phone on 07788725318. The English Literature Summer School is an opportunity for like-minded students aged 15-18 to indulge their passion for literature and explore some of the most exciting and challenging ideas in contemporary literary theory. Each part of the course consists of a structured five-day programme taught by expert postgraduate tutors. The English Summer School – Part 1 will cover literature dating from 650 to 1790, including Middle English, Medieval Literature, Chaucer, The Renaissance, Shakespeare, Restoration Literature and the Rise of the Novel. As part of this course, students will explore Historicist and Feminist critical approaches. The English Summer School – Part 2 will cover literature dating from 1790 to 2017, including Romanticism and the Gothic Movement, Victorian Sensation Novels, Literature and the British Empire, Modernism, and Postmodernism. As part of this course, students will explore Postcolonial criticism and the ‘Death of the Author’. The English Summer School – Part 3 will cover Contemporary English Literature, including prose fiction, poetry and drama. As part of this course, students will explore psychoanalytic criticism and theories of the canon. Please note that although the courses complement one another, they can also be treated as stand-alone events, and there is no requirement to have attended Part 1 in order to register for other Parts of the course. Classes are small, typically containing twelve to fourteen students, all of whom should have a passion for Literature, a curiosity to build on their existing knowledge and a desire to embrace and exchange new ideas. The tutors for the course range widely in their specialisms, from Medieval folk tales to Renaissance drama to contemporary criticism. This ensures that students will benefit from the broadest possible range of perspectives and approaches. Literary theory and criticism will play an important role in each session, and students will be invited to examine texts they have studied in the light of competing theories of the nature and value of literature and the role of the critic. The English Literature Summer School will be held at University of London venues in Bloomsbury, Central London, and is open to students aged 15 – 18. Part 1 will take place on the 24th – 28th July, Part 2 will take place on the 31st July – 4th August and Part 3 will take place on the 7th – 11th August 2017. You can find full details of schedules, dates, costs, student reviews and tutors at https://debatechamber.com/project/english-literature-summer-school/. To book a place please visit https://debatechamber.com/project/english-literature-summer-school/, call us on 0845 519 4827, or email info@debatechamber.com. Places will be allocated on a first come first served basis.